Find Duplicate Images, Videos, Songs and other types of files with Duplicate File Finder. 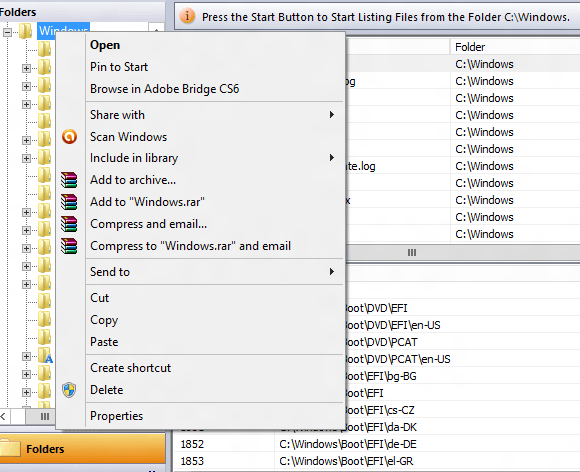 Given below screenshot of the Duplicate File Finder Software was captured on a Windows 8 Computer running on 64 bit Intel Architecture Computer. Yes this Duplicate File Finder works on 32 bit Windows Operating System Computers just fine. Download and try out this Duplicate File Finder Software on your Windows Computer for free. Whether you are running Windows 8, Windows 7, Windows Vista or even Windows XP, this easy to use and yet sophisticated Duplicate File Finder Software can really help you to organize files and folders on your Windows Computer. 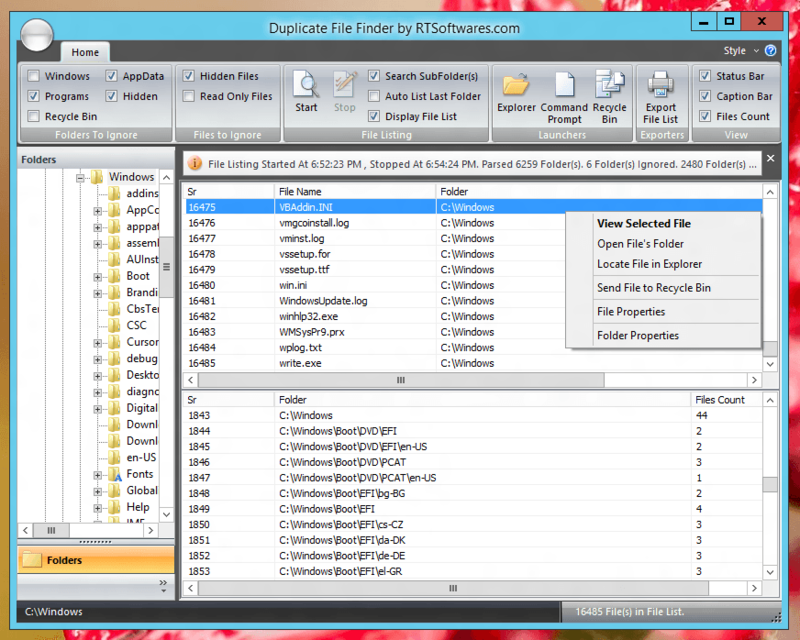 You can also view the screenshot of the Duplicate File Finder Software as given below. What all you can do with this Duplicate File Finder ? Given below are few of the tasks you can do with the offered Duplicate File Finder. You can also have a look at the above full sized screenshot of the software to understand what all is packaged in this small and easy to use duplicate file finder. Finding duplicate files is all about listing files and then doing comparison. This Software can be handy for Hard Disk Analysis and can be really handy. In case you do need a related feature added to this Duplicate File Finder Software, just drop us an email and we will get the related feature implemented in the software for free. View your Hard Drive Contents in a Windows Explorer Style Tree on the Left hand Side of the Duplicate File Finder. Open Windows Explorer with Selected Folder Displayed. Open Command Prompt with directory changed to the Selected Folder. Launch Recycle Bin Folder directly from the Duplicate File Finder. Export List of Files to a temporary Text File for later use. View Count of Files in Every Folder. While Listing Contents of any folder, you can opt to ignore Hidden Files, Hidden Folder, Ignore Read Only Files. When listing files of a Drive, you can select to ignore the files from Windows Folder, Ignore Files from the Programs Folder, Ignore AppData Folders, Ignore Recycle Bin Folders. Listing of Files and Files Count in Every Folder is optional. In case you wish to scan a big folder or a drive, ignoring specific types of folders can speed up the listing of files. With Duplicate File Finder, you can send any selected File or Folder to Recycle Bin and this cleaning up your Hard Disk. Visit RTSoftwares Home Page to download more Software utilities for your Windows Computer. All the Utilities presented are offered on a free to try out basis and each utility is really cheap as is this Duplicate File Finder Software for Windows.